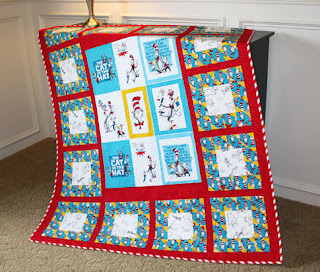 Fat Quarter Shop's Jolly Jabber: It's Sew Emma:The Adventures of Seuss! It's Sew Emma:The Adventures of Seuss! 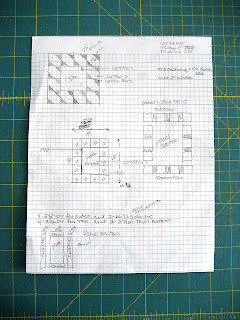 The inspiration for The Adventure of Seuss Quilt Pattern came from a quilt block I submitted to a quilt magazine. Isn't the Hat applique cute? 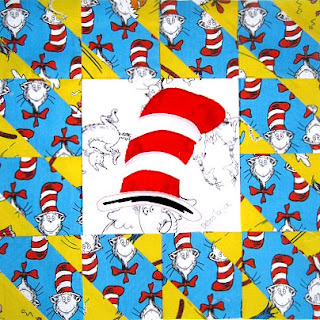 I loved the block so much that I decided to design a quilt using this block and The Cat in the Hat panel. 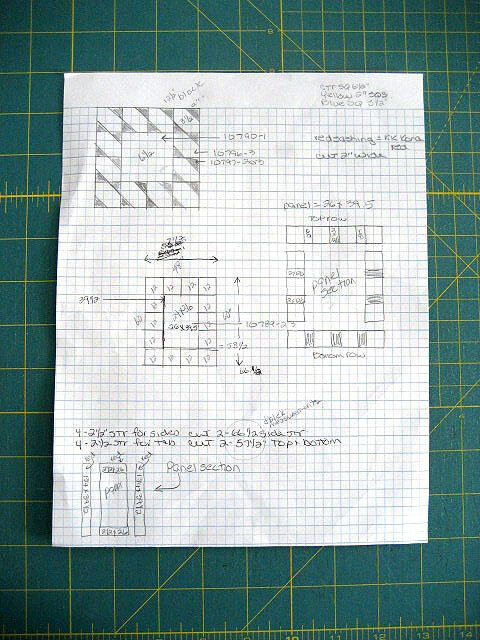 I started designing this quilt by drawing on graph paper. I wanted the quilt to be throw size with The Cat in the Hat panel in the center of the quilt with my original blocks surrounding it. Mission accomplished! I can see this quilt as a gift for a young person accompanied by a Dr. Seuss book or two!!! The Adventures of Seuss Pattern and The Adventures of Seuss Quilt Kit are both currently and exclusively for sale at the Fat Quarter Shop! This quilt is guaranteed to bring smiles to whomever receives it, or makes it for that matter!